The problem is our use of petroleum. There are a number of reasons to oppose the Keystone XL Pipeline, including the risk of pipeline oil spills, health hazards affecting local communities, greenhouse gas emissions from extraction of the oil sands, potential damage to Native American and Indigenous Canadian sacred sites. While a decision not allow the Keystone XL Pipeline would alleviate some of these problems, it wouldn't solve the fundamental problem -- which is our dependence on oil -- any more than passage of the Eighteenth Amendment to the US Constitution eliminated our problems with alcohol. 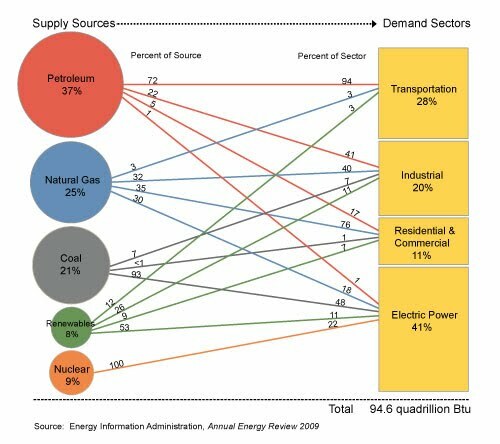 According to the US Energy Information Administration (EIA), in 2009, 72 percent of the petroleum consumed in the US was consumed by the transportation sector, and 94 percent of the energy used by the transportation sector was from petroleum. We can't reduce emissions from petroleum by shutting off the pipeline. We can only reduce emissions from petroleum by reducing our consumption. Public transit is one way to achieve that objective. Signup and show your support for better public transit!